This is the first part of a small series about the cryptographic building blocks of OMEMO. 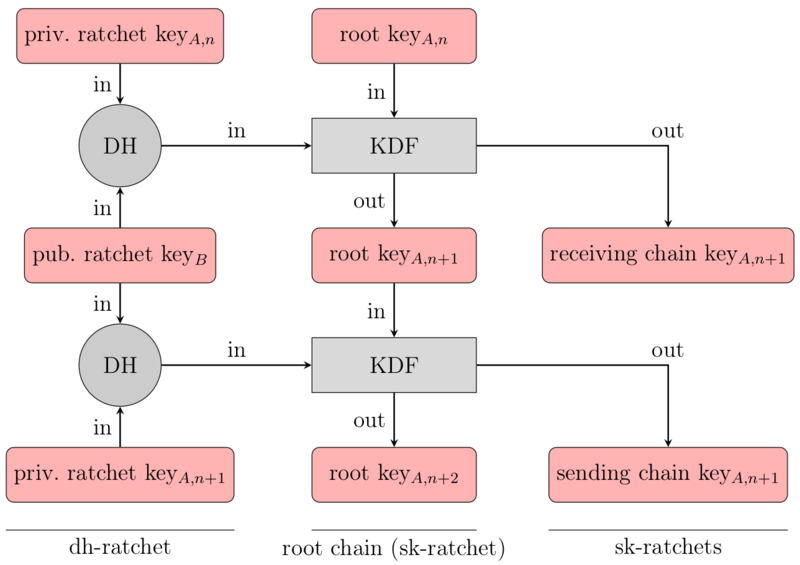 This post is about the Extended Triple Diffie Hellman Key Exchange Algorithm (X3DH) which is used to establish a session between OMEMO devices. In the past I have written some posts about OMEMO and its future and how it does compare to the Olm encryption protocol used by matrix.org. However, some readers requested a closer, but still straightforward look at how OMEMO and the underlying algorithms work. To get started, we first have to take a look at its past. OMEMO was implemented in the Android Jabber Client Conversations as part of a Google Summer of Code project by Andreas Straub in 2015. 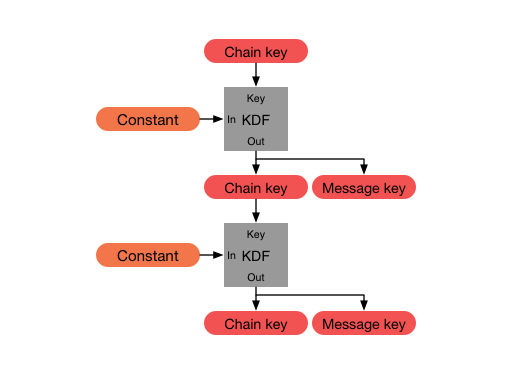 The basic idea was to utilize the encryption library used by Signal (formerly TextSecure) for message encryption. 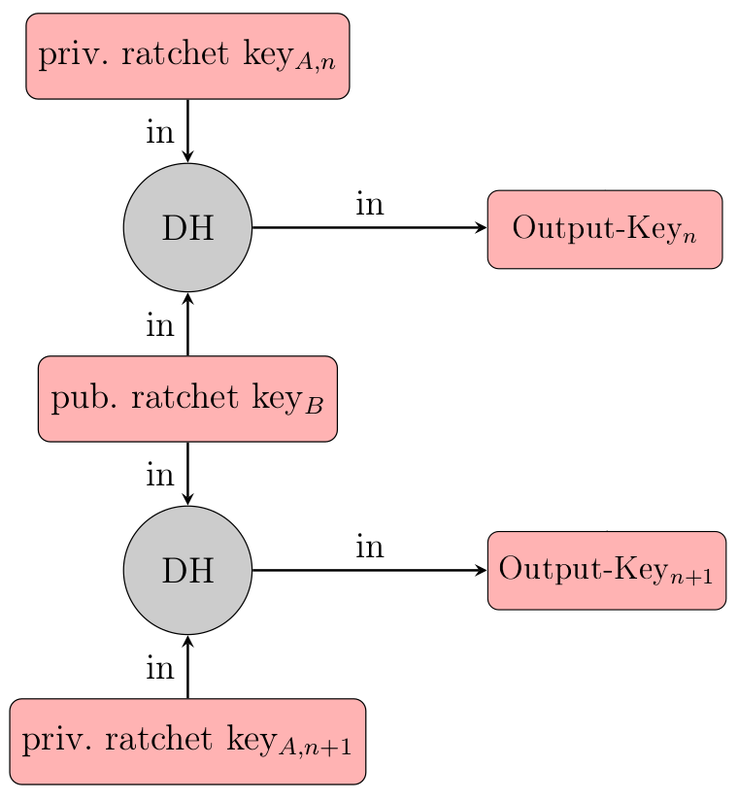 So basically OMEMO borrows almost all the cryptographic mechanisms including the Double Ratchet and X3DH from Signals encryption protocol, which is appropriately named Signal Protocol. So to begin with, lets look at it first. One core principle of the protocol is to get rid of encryption keys as soon as possible. Almost every message is encrypted with another fresh key. This is a huge difference to other protocols like OpenPGP, where the user only has one key which can decrypt all messages ever sent to them. The later can of course also be seen as an advantage OpenPGP has over OMEMO, but it all depends on the situation the user is in and what they have to protect against. A major improvement that the Signal Protocol introduced compared to encryption protocols like OTRv3 (Off-The-Record Messaging) was the ability to start a conversation with a chat partner in an asynchronous fashion, meaning that the other end didn’t have to be online in order to agree on a shared key. This was not possible with OTRv3, since both parties had to actively send messages in order to establish a session. This was okay back in the days where people would start their computer with the intention to chat with other users that were online at the same time, but it’s no longer suitable today. Note: The recently worked on OTRv4 will not come with this handicap anymore. X3DH is a key agreement protocol, meaning it is used when two parties establish a session in order to agree on a shared secret. For a conversation to be confidential we require, that only sender and (intended) recipient of a message are able to decrypt it. This is possible when they share a common secret (eg. a password or shared key). Exchanging this key with one another has long been kind of a hen and egg problem: How do you get the key from one end to the other without an adversary being able to get a copy of the key? Well, obviously by encrypting it, but how? How do you get that key to the other side? This problem has only been solved after the second world war. private key must be kept secret. 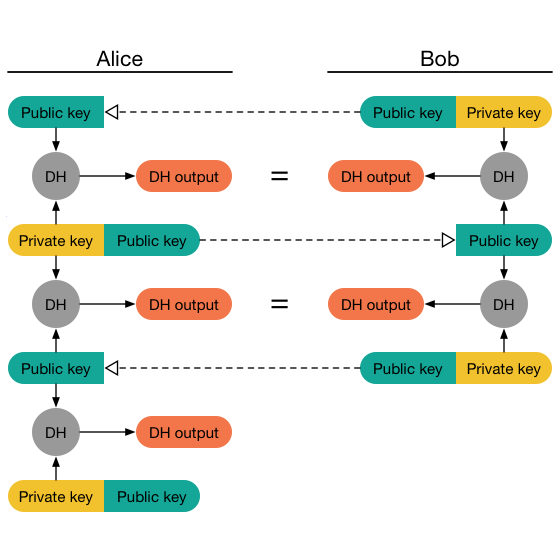 A Diffie-Hellman key exchange (DH) is the process of combining a public key A with a private key b in order to generate a shared secret. The essential trick is, that you get the same exact secret if you combine the secret key a with the public key B. Wikipedia does a great job at explaining this using an analogy of mixing colors. In normal day to day messaging you don’t always want to commit to what you said. Especially under oppressive regimes it may be a good idea to be able to deny that you said or wrote something specific. This principle is called deniability. Note: It is debatable, whether cryptographic deniability ever saved someone from going to jail, but that’s not scope of this blog post. At the same time you want to be absolutely sure that you are really talking to your chat partner and not to a so called man in the middle. These desires seem to be conflicting at first, but the OTR protocol featured both. 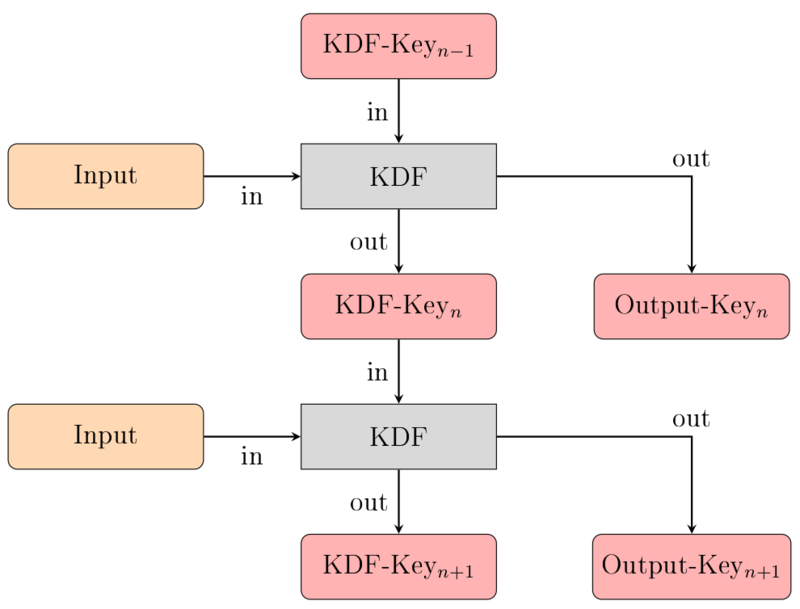 The user has an IdentityKey, which is used to identify the user by means of a fingerprint. 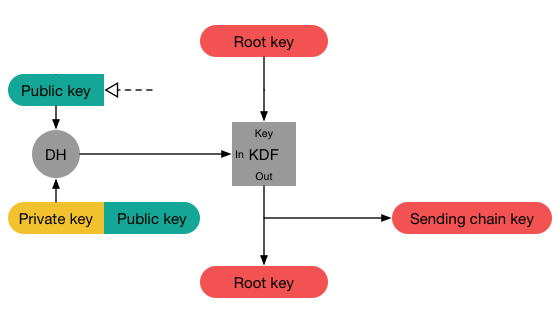 The (massively and horribly simplified) procedure of creating a OTR session is as follows: Alice generates a random session key and signs the public key with her IdentityKey. She then sends that public key over to Bob, who generates another random session key with which he executes his half of the DH handshake. He then sends the public part of that key (again, signed) back to Alice, who does another DH to acquire the same shared secret as Bob. As you can see, in order to establish a session, both parties had to be online. Note: The signing part has been oversimplified for sake of readability. 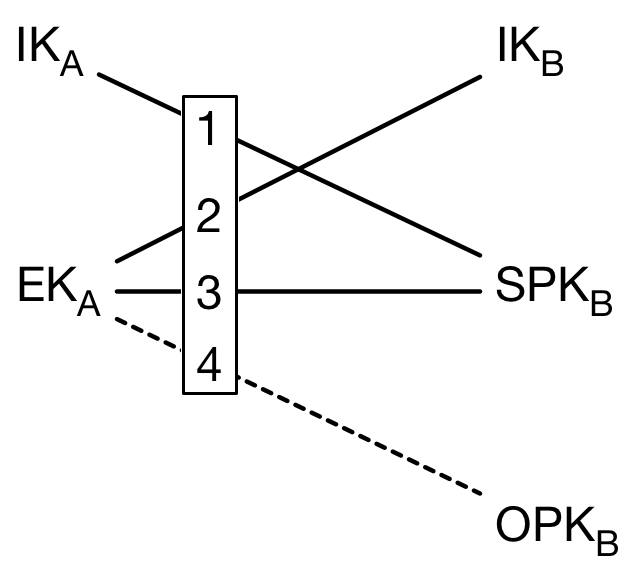 Perrin and Marlinspike improved upon this model by introducing the concept of PreKeys. 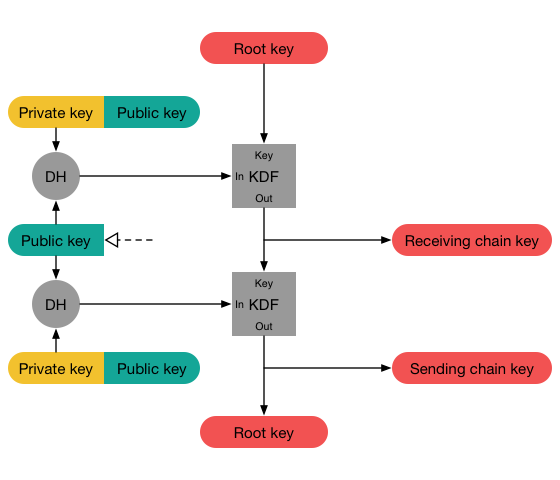 Those basically are the first halves of a DH-handshake, which can – along with some other keys of the user – be uploaded to a server prior to the beginning of a conversation. This way another user can initiate a session by fetching one half-completed handshake and completing it. EK_A denotes an ephemeral, random key which is generated by Alice on the fly. Alice can now derive an encryption key to encrypt her first message for Bob. She then sends that message (a so called PreKeyMessage) over to Bob, along with some additional information like her IdentityKey IK, the public part of the ephemeral key EK_A and the ID of the used PreKey OPK. Once Bob logs in, he can use this information to do the same calculations (just with swapped public and private keys) to calculate S from which he derives the encryption key. Now he can decrypt the message. X3DH utilizes PreKeys to allow session creation with offline users by doing 4 DH handshakes between different keys. A subtle but important implementation difference between OMEMO and Signal is, that the Signal server is able to manage the PreKeys for the user. That way it can make sure, that every PreKey is only used once. OMEMO on the other hand solely relies on the XMPP servers PubSub component, which does not support such behavior. Instead, it hands out a bundle of around 100 PreKeys. This seems like a lot, but in reality the chances of a PreKey collision are pretty high (see the birthday problem). OMEMO does come with some counter measures for problems and attacks that arise from this situation, but it makes the protocol a little less appealing than the original Signal protocol. Clients should for example keep used PreKeys around until the end of catch -up of missed message to allow decryption of messages that got sent in sessions that have been established using the same PreKey.